Tripp Lite's Power It! PS615 power strip offers reliable, convenient and cost-effective power distribution for appliances, power tools, lighting and other electrical equipment. 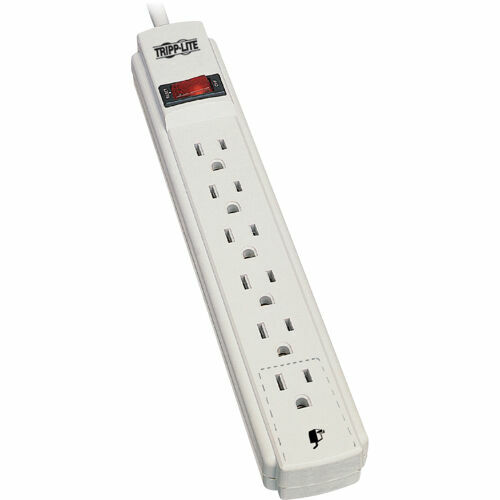 Includes 6 NEMA 5-15R outlets, 15-foot AC power cord and keyhole mounting slots. Multi-outlet strip reduces cable clutter and enables the connection of multiple electrical devices to a single AC wall socket. Features illuminated power switch and 15A integrated circuit breaker to prevent dangerous overloads.